This article is about the minifigure. For the Constraction figure, see 75120 K-2SO. 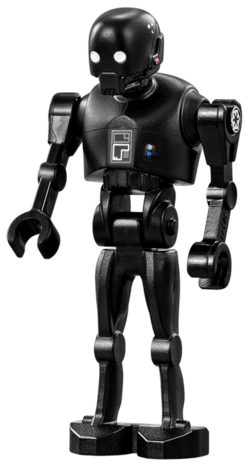 K-2SO is a Star Wars minifigure released in 2016. K-2SO is an Imperial enforcer droid which was seen working with a squad of members affiliated with the Rebel Alliance. This page was last edited on 30 September 2016, at 10:02.